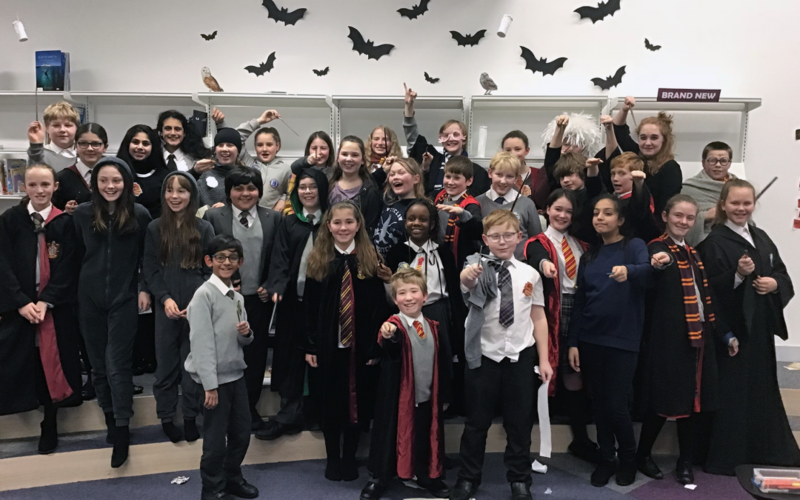 More than 30 lucky students donned their wizarding robes on Thursday 8th February, as the library was transformed into Hogwarts for LCH’s first Harry Potter Book Night. Candles hovered in mid-air, Professor Snape’s potions filled the shelves, owls and magical beasts poked out from hiding spaces, and a giant Wanted poster was suspended for those on the run from the Ministry of Magic. The young witches and wizards took part in an assortment of magical activities – painting wands at ‘Ollivanders’ creating owls from polymer clay, solving scavenger hunt clues to find lost treasures scattered around the library, and taking the Sorting Hat quiz to determine which of the four Hogwarts Houses they should belong to. 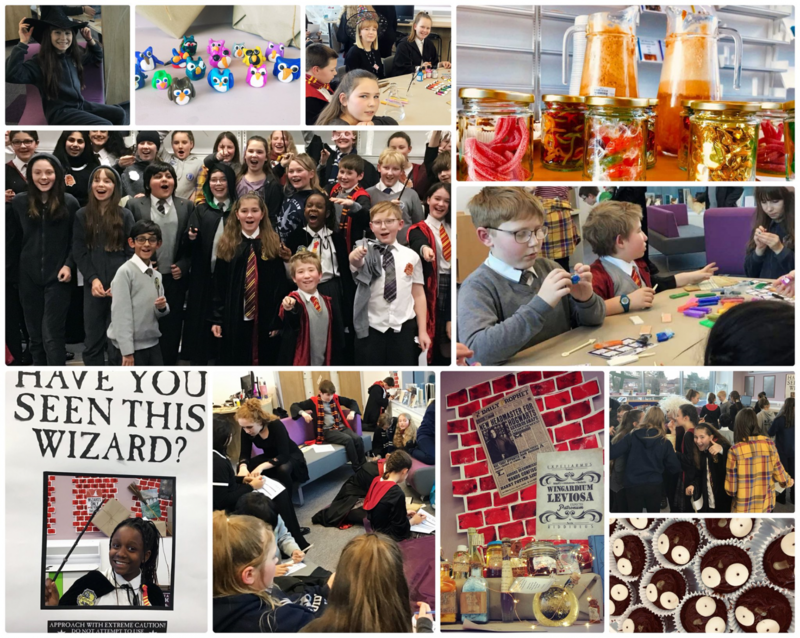 The fun didn’t stop there, with our very own ‘Honeydukes’ serving butterbeer and cupcakes to hungry students, alongside some tasty wizarding snacks. Meanwhile, in the ‘Charms’ department, Science teacher Mrs Gill demonstrated a variety of magical experiments… and even caught students levitating their broomsticks on film! The evening concluded with a fiendishly difficult Hogwarts Quiz, which tested students’ knowledge of the Harry Potter series, and an opportunity for students to show off their outfits in a fancy dress competition. In the quiz, Jaisha R triumphed in first place with an incredible perfect score, closely followed by Kirsten S and Amelie J, both with 1200 of1320 points. The costume competition was closely fought, with Kirsten S claiming third place as a studious Hermione; Edie W snatching second place as the devious Bellatrix Lestrange; and Amelie J taking the crown as Luna Lovegood, complete with homemade glasses and Quibbler!